Find folders with identical content? Is there a program / way to find folders with identical content and to show / remove duplicate folders automatially / in a single step or 2 or so? Edited by River Horse, 16 April 2018 - 02:55 AM. That's unbelievable, I had searched the entire Interenet (some or many months ago), had found many duplicate find programs, but obviously missed this one or that folder option, very strange. Yes you are right, its a very powerful tool and should be well able to do the job you want, however it does need a little setting up, and as far as I'm aware there is no automated tool that will do exactly what you want without imputting the settings you require. It looks like the forum is not accessible / existing anymore. I think you lost me on the above, what particular problems are you experiencing with it? 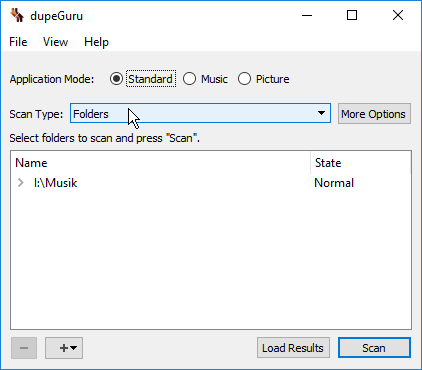 I want dupeGuru to search for duplicate musicfolders by content without tags (of the files). And how are the images / covers / other files handled then in such music folder (containing music albums)? Are they checked by its complete content then? May be a music/picture mode would be good, which lets search for music tags / EXIF in a single search or by content without EXIP / tags. 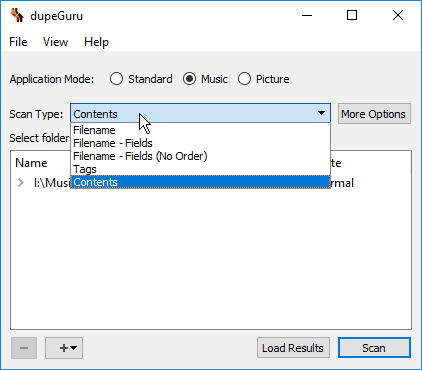 dupeGuru finds duplicate folder by the complete content of its files (by the cotent of each single file and if all the content of any file is identical with another one in the other folder its content is considered to be equal)? Edited by River Horse, 17 April 2018 - 02:27 AM. The help files are pretty comprehensive and explain exacly how each scan is performed.... it sure beats going through all your Terrabytes of folder/files manually! Many thanks for searching and the link, yes, indeed, one question answered. For my first question I could not find any answer but I will use that support e-mail address there.